The minke whale is the smallest and most abundant of the rorqual whales, it is found in all oceans, almost to the edge of the ice. A good way to identify a minke is to look for the white band on the flippers. 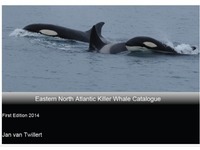 This is clearly visible at medium to close range as a white patch just below the surface beside the animal. In some parts of the world, however, the flippers are all black. 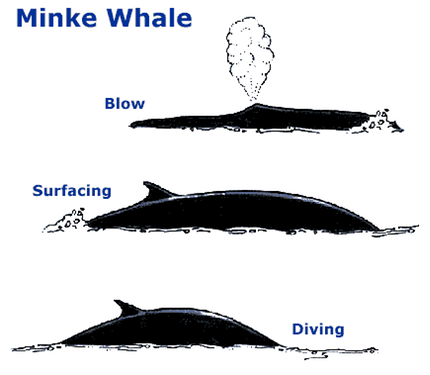 When seen up close, the back of the minke whale is swathed in variable areas of dark and light pigmentation. These marks have been used to photo-identify and keep track of individuals. On their feeding grounds minkes are often seen in pairs, although the numbers can reach up to 100 in a feeding area where food is plentiful.